R.I.P. 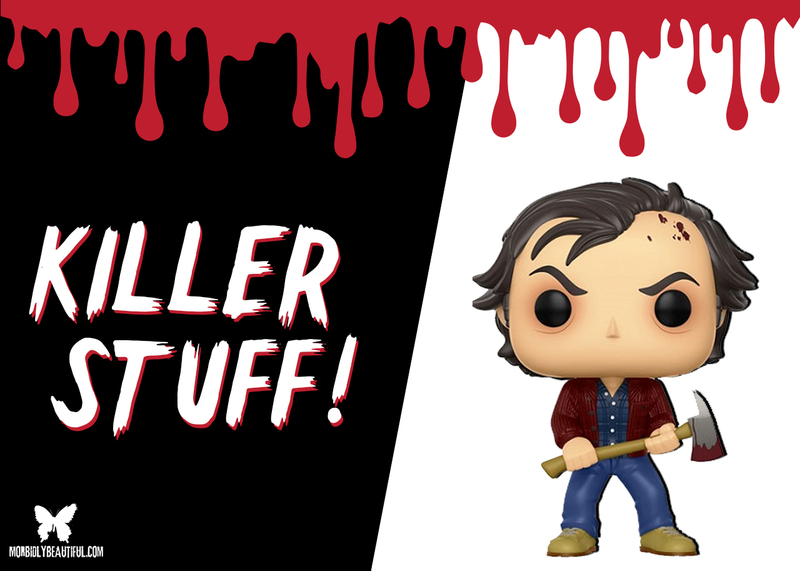 to your wallet horror fans and toy collectors; Funko has finally revealed pictures for this year’s Horror Pop wave…and they are KILLER! We previously gave you a tease of what this highly anticipated line-up would include. 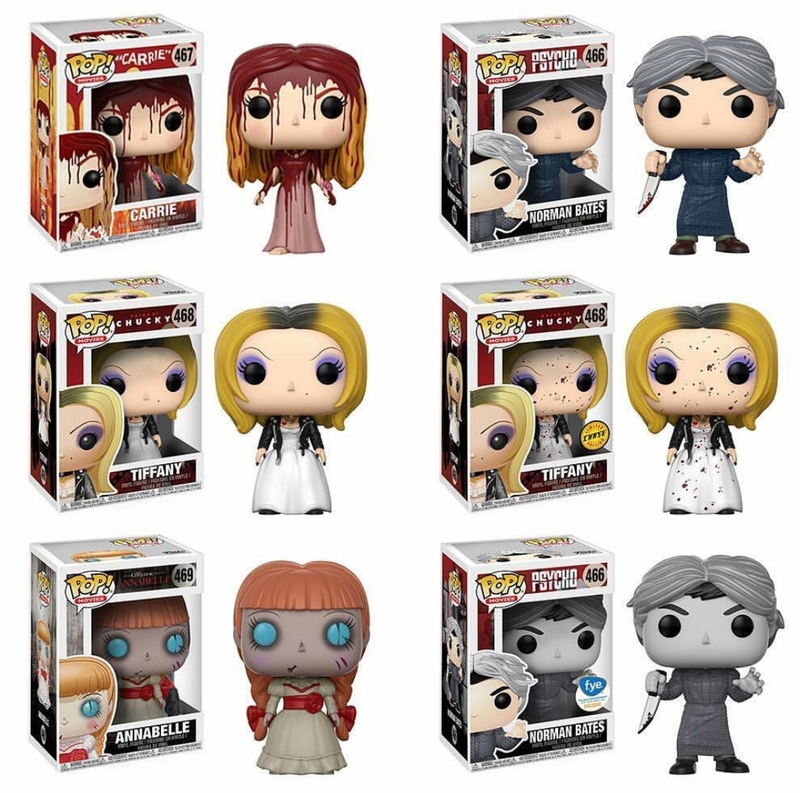 However, we now know exactly what each Pop will look like, as well as which figures will be available in Chase and Store Exclusives for this line-up. 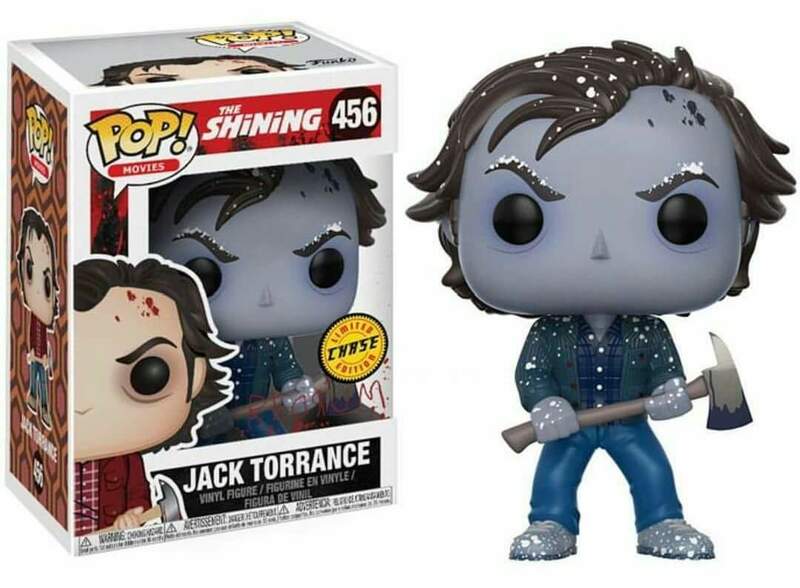 In addition to the 3 commons of the Torrance family in THE SHINING line, Jack Torrance will also have a frozen Chase variant. 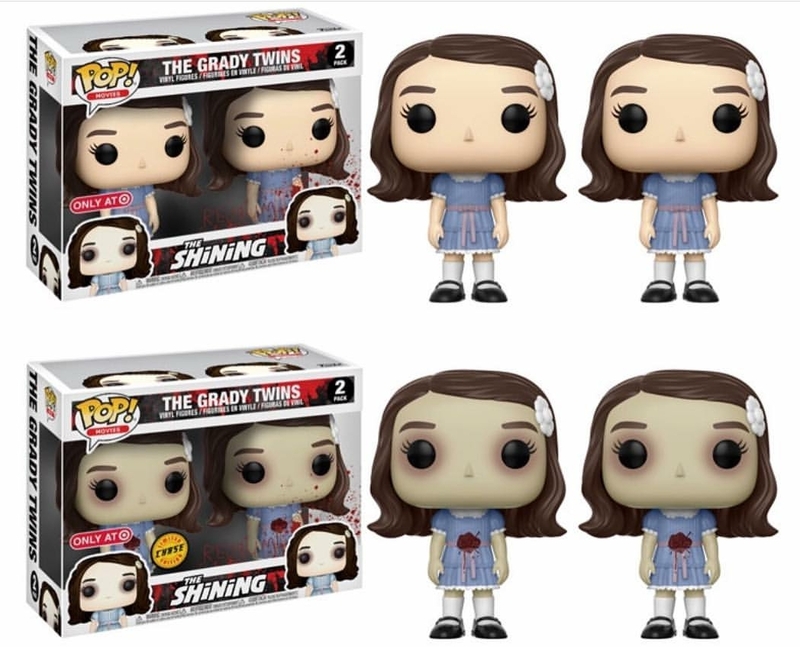 That’s not all, it was also announced that The Grady Twins will also be released as a 2 pack, with a Bloody Chase variant, both available exclusively at Target stores. It also appears that Tiffany from BRIDE OF CHUCKY will be another Chase in the Horror wave, as there is a common and Bloody Chase. No word if Carrie White from CARRIE will still have a Chase figure. Annabelle from THE CONJURING and her own franchise, is also being released in conjunction to round out this devilish group of horror girl power. And we now have visual confirmation that Norman Bates from the Hitchcock’s immortal classic PSYCHO will indeed be portrayed as the other part of his fractured psyche, Mother. FYE will have a Black and White variant as a nod to the film. Funko’s Horror Dorbz line is getting a massive boost with 6 figures that will have collectors going crazy. 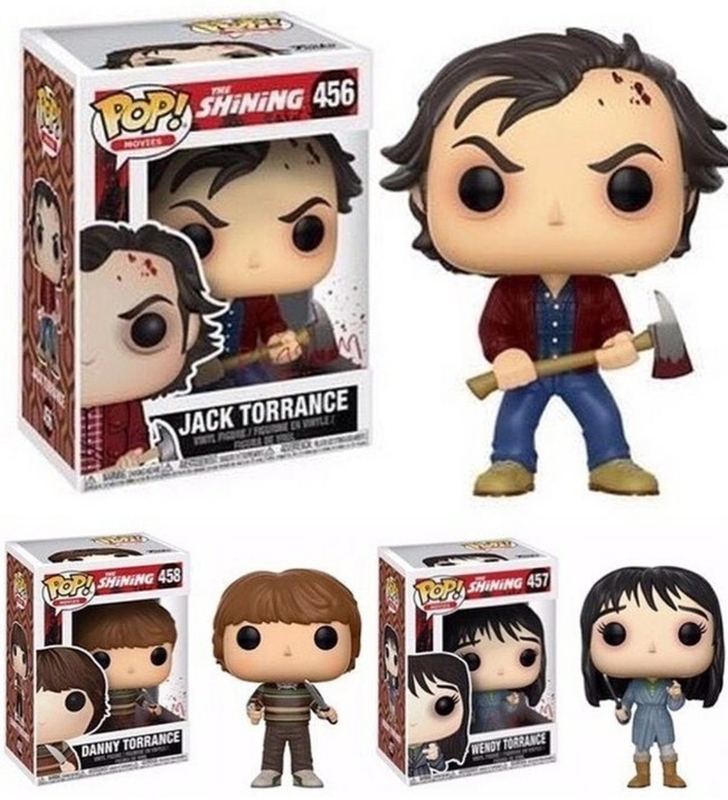 Pennywise The Dancing Clown, Beetlejuice and Jack Torrance are all appearing as commons for this wave. 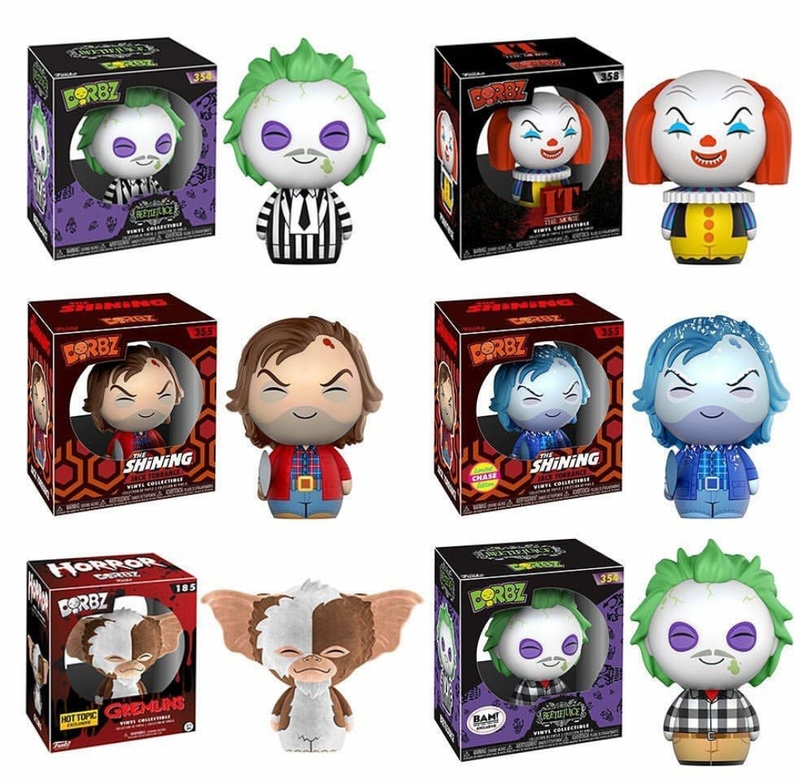 There will in fact be a Chase of Frozen Jack Torrance , as well as a Flocked Gizmo that will be exclusive to Hot Topic and Beetlejuice in the Adam Maitland outfit exclusive to all BAM! stores. Funko doesn’t usually have a solid street date for their products (outside of SDCC and other con exclusives), but September is the expected launch month for most if not all of these figures.